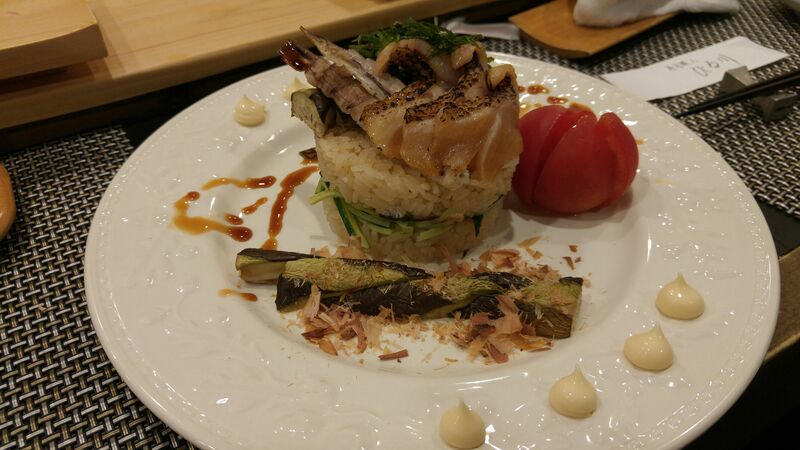 Early Spring Sushi Millefeuille by Kenta Birukawa at Sushi Shokunin Birukawa in Shizuoka City! 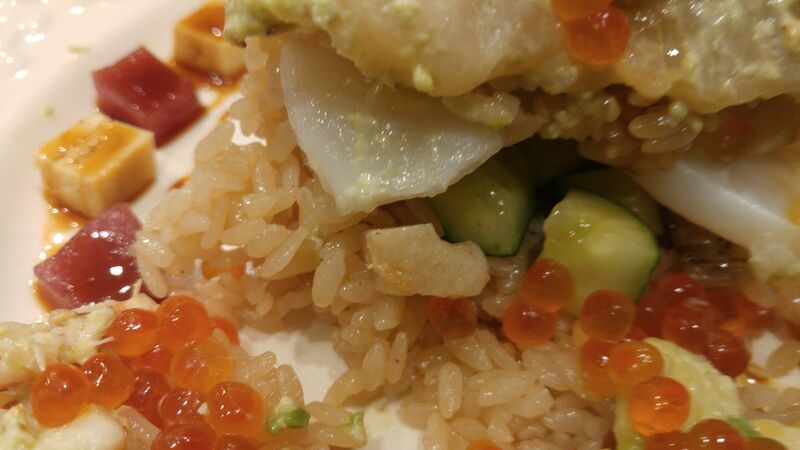 Strong points: Sushi mainly created with local seafood. 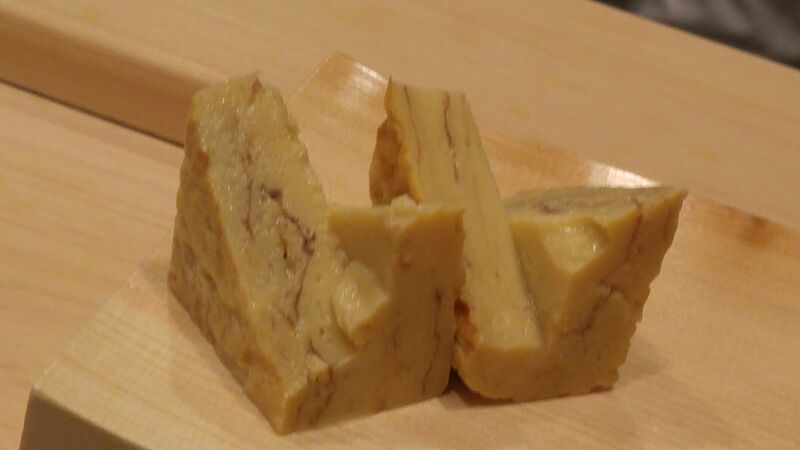 3-year old wasabi root exclusively used. Grilled and deep-fried fish, tempura. 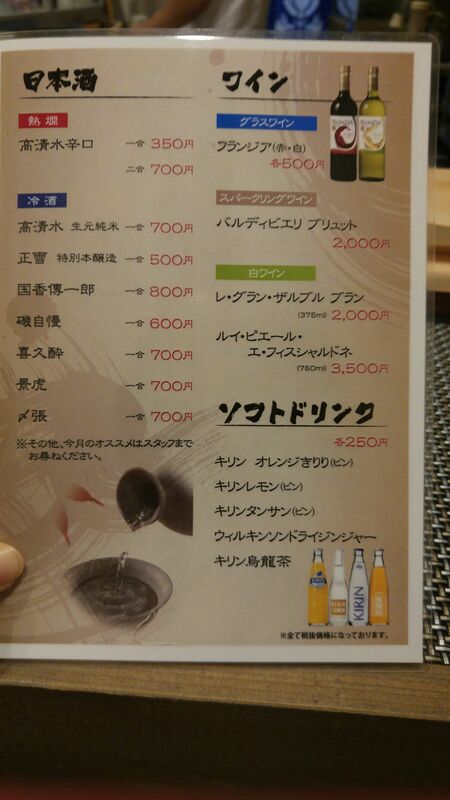 Excellent list of sake and shochu. The other I finally managed to find a couple of seats free at Sushi Shokunin Birukawa, my favorite sushi restaurant in Shizuoka Prefecture I have already introduced to many an overseas client. The problem is that it is very popular and it is tough, nigh impossible to get a seat on holidays or weekends! Even on a Thrursday it was fully booked by 6 pm! Anyway, to make along story short, we once again challenged our good friend, chef Kenta Birukawa who moved some 15 years ago to Shizuoka from his native Akita Prefecture to another Sushi Millefeuille! It is not listed on the menu, but if you are recommended in person by your servant he will happy enough to concoct you an original one according to your taste an priorities! The only thing we agreed on was the name: Early Spring (that is, for 2018!) Sushi Millefeuille! Bear in mind that “Early Spring” in Japan, and especially in Shizuoka City, quite before the real Spring has actually come to grace us with its mild weather after this year’s unusually severe winter! The Dragon (my worse half!) did not wait to demolish as it is her sorry habit but I had time enough to notice that the sushi rice is made in Kenta’s particular recipe, that is the rice vinegar used in seasoning the rice contains red amazu rice vinegar for 1/10th ration and that the millefeuille was topped with avocado nmayonnaise and salmon roe! I could notice before Dragon further demolished the edifice that it contained scallops, squid and boiled lotus root! And I forgot to mention that the banderolle around the millefeuille was composed of small cubes of akami/red lean tuna and Japanes omelet/Tamagoyaki! Sushi Millefeuille 2017 Summer Version at Sushi Shokunin Birukawa in Shizuoka City! 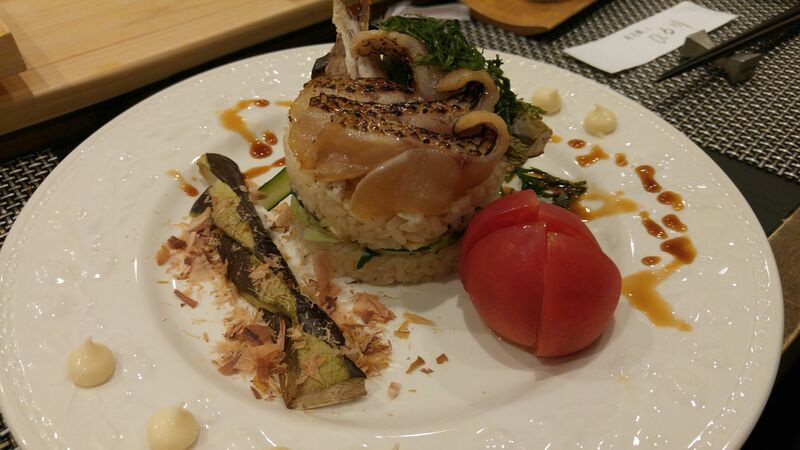 Chef Kenta Birukawa/尾留川健太親方, as a true chef has always loved to be challenged into new ideas. Every time I visit his restaurant, Sushi Shokunin Birukawa, in Aoi Ku, Shizuoka City he knows I will asak for a new “Sushi Millefeuille”, a bit to the surprise of regulars as the order is not written anywhere, be it on the regular menu or specialties of the day! So when I proposed the name, Summer Version Sushi Millefeuille, that is what he came up with! 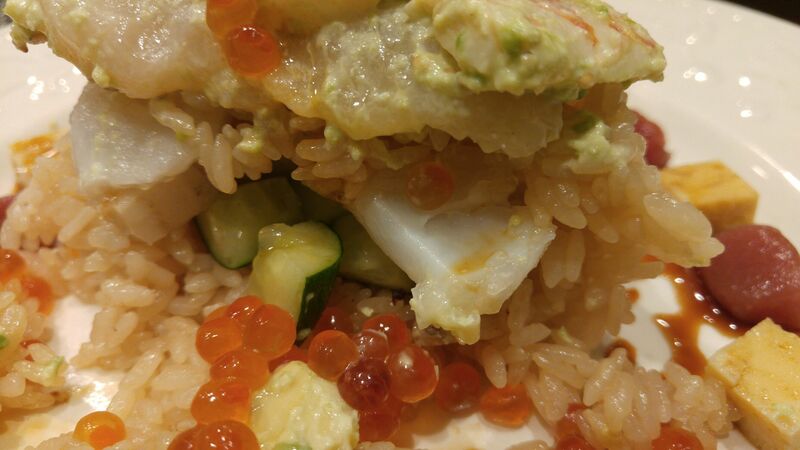 Note that the sushi rice is lightly colored as 10% of the rice vinegar used in its making is akazu/red vinegar! 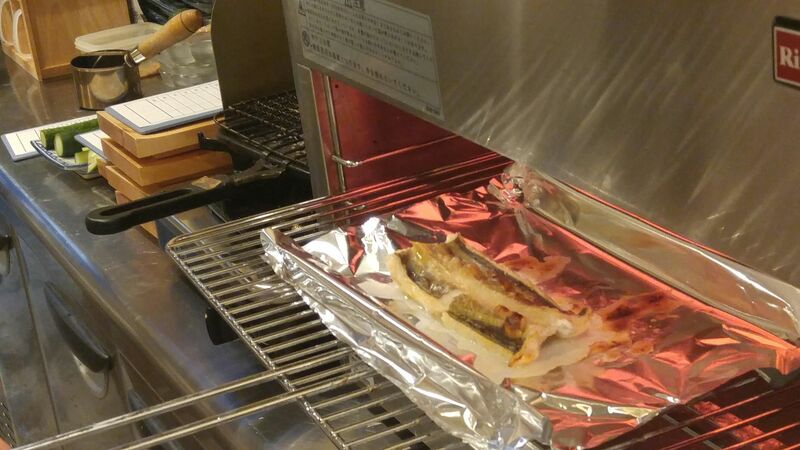 The fish served in aburi style/half grilled, half raw on top is “nodoguro” or “blackthroat seaperch” also known as “akamutsu” in Japan, a seasonal fish of higher quality! 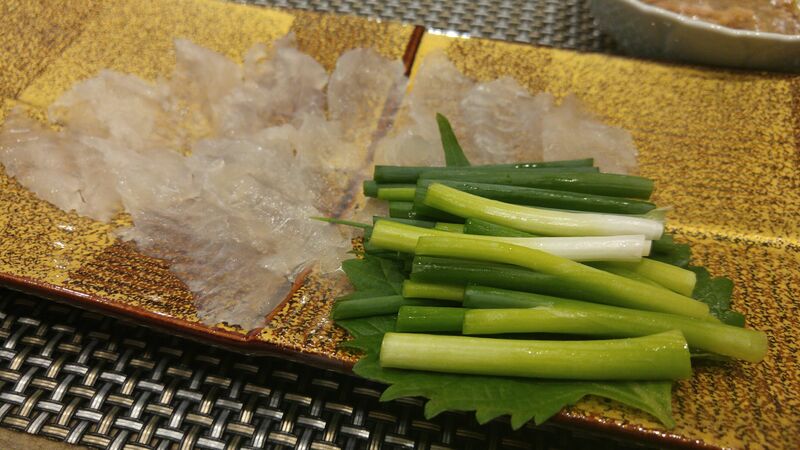 The fish was accompanied with “boiled “shako” or squilla! 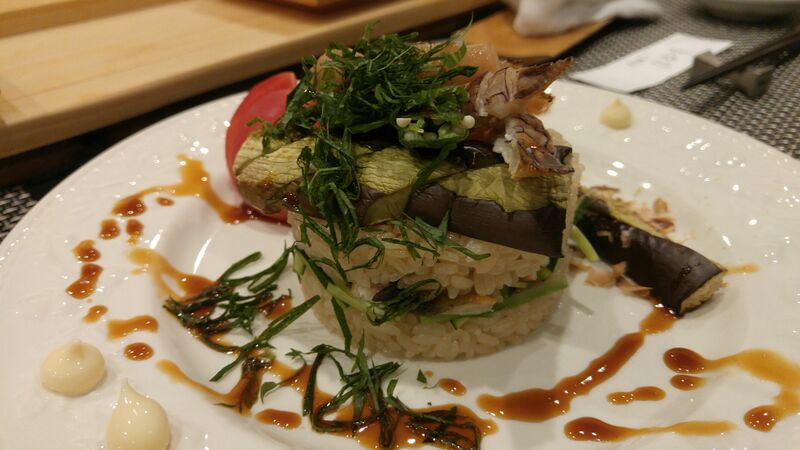 Anago/grilled conger eel was also included inside the rice with grilled eggplant and thinly sliced cucumber! Almost a whole dinner by itself1 Looking forward to the next challenge! 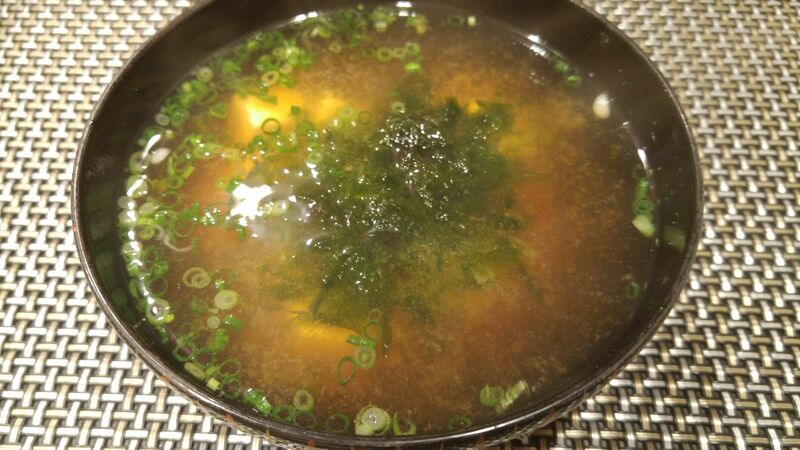 Dinner at Sushi Shokunin Birukawa in Shizuoka City! 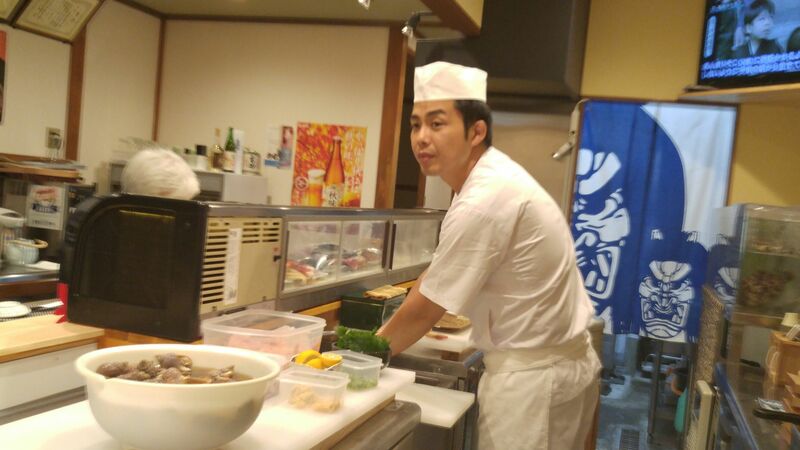 Kenta Birukawa opened Sushi Shokunin Birukawa last July after a long time spent as the main chef of Sushi Ko in Aoba Park Street, Aoi Ku, Shizuoka City for the pleasure of his many fans including your servant. 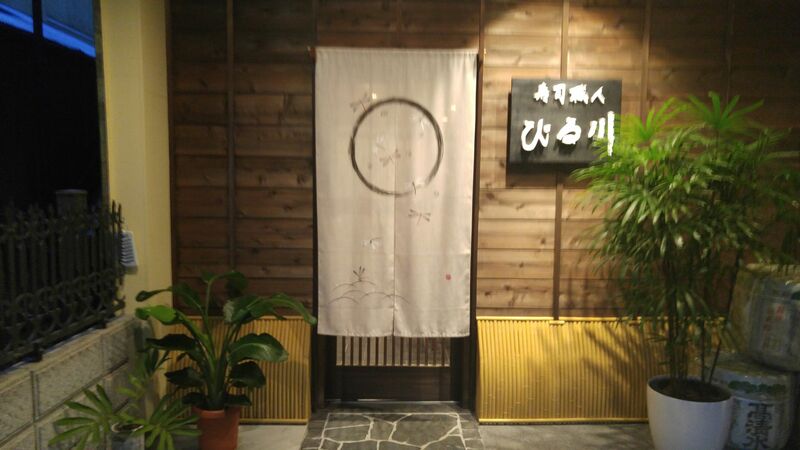 It is located near Komagata Street which is being completely renovated with the addition of high-rise mansions which promises a flow of affluent customers to all the establishments who decided to stay or move recently! Whatever his skills a chef builds his reputation on his/her choice of ingredients. Kenta always has enough live local fish in his aquarium tank along with products chosen on a daily base through his many contacts in local and national ports. 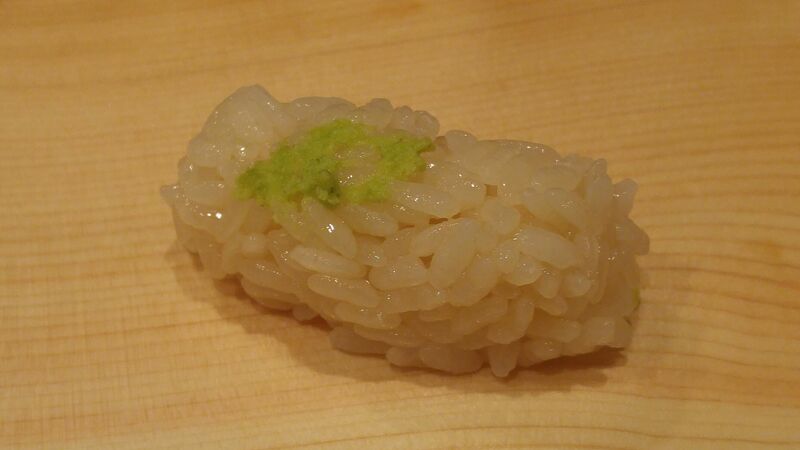 And when it comes to wasabi, even the op restaurants in Tokyo or Kyoto do not come near to equal him as he exclusively uses roots grown for three years in the mountains of Utogi, Aoi Ku, Shizuoka Ciy, the very location where the first wasabi were grown for their roots in the beginning of the 17th Century. 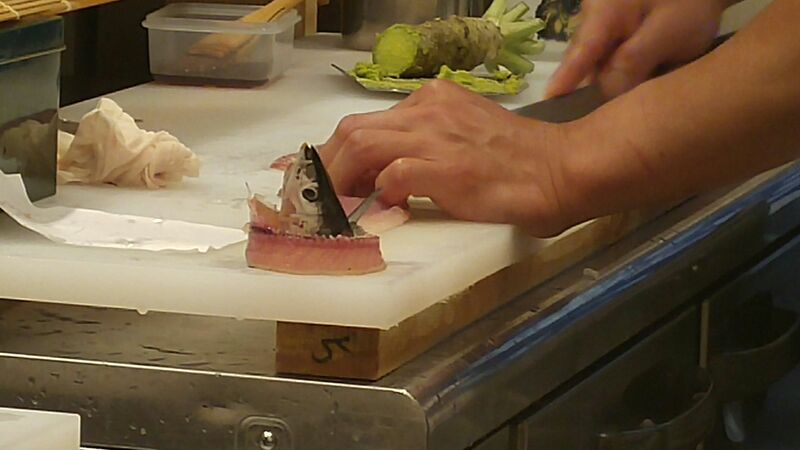 The wasabi is grated a little at a time before being served on each plate or sushi! 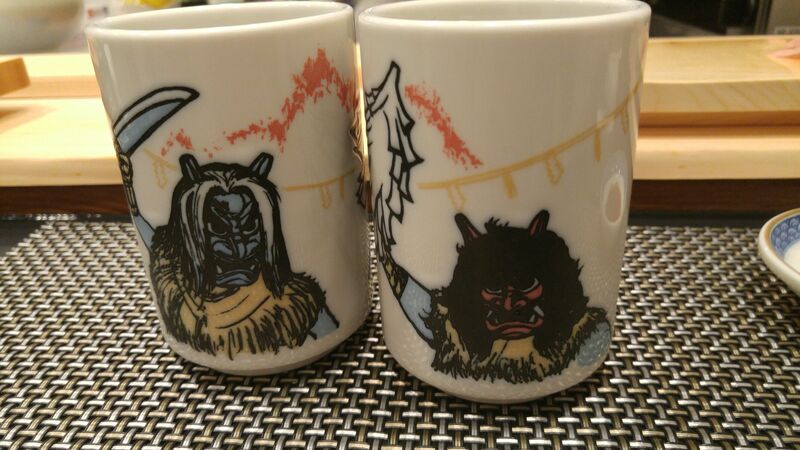 Incidentally Kenta and his little jewel of a mother are from Akita Prefecture as can be noted on the tea cups and the noren/entrance curtain to the kitchen! Apparently Shizuoka City is very popular with denizens of Akita Prefecture as they have formed their own association in our city! It was actually our first visit as we knew the place would be too crowded during the first two months, and still is, so you had better call first or reserve in advance! The tone was set with the o-toshi/snack coming with first drink consisting of succulent whelks! 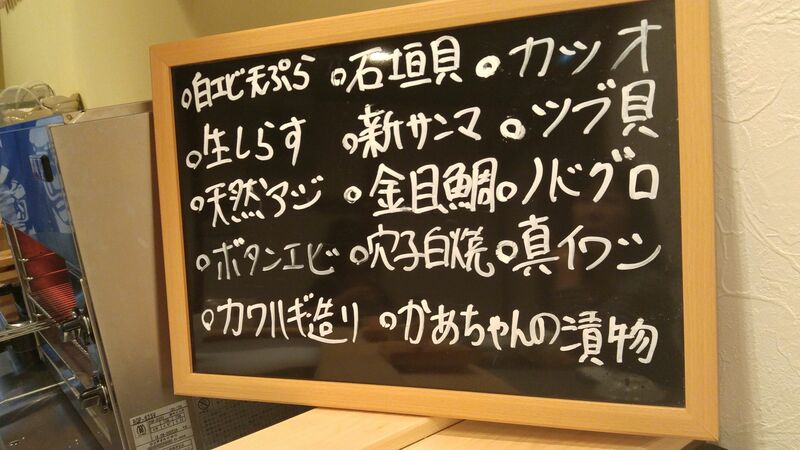 A small board is shown and circulated among the customers to inform them of the special fish and seafood of the day, a very useful and practical way when it comes to sashimi or cooked fish! As for drinks there is much to choose from among the sake, comprising many local ones (expect more not featured on the list! ), wine and soft drinks! 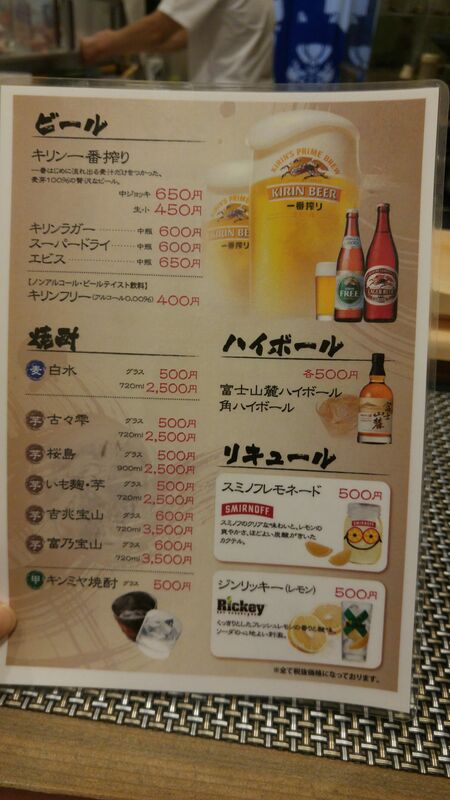 And do not forget the shochu and the beer! As for individual sushi the prices are clearly stated. You can also discuss your budget directly with Kenta without any worries. He will also gladly accommodates your special orders not featured on menus. Just keep on eye on what the regulars order! Another big plus the rice is steamed in small bunches, and if you are lucky enough he will prepare it in front of your very eyes! 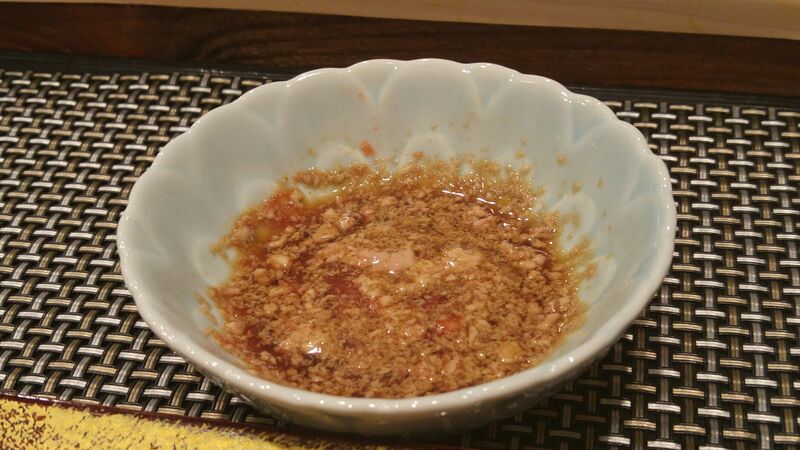 Kenta has his own recipe which includes a mixture of 90% usual rice wine with 10% of red rice wine as demonstrated above! Not many restaurants will go to the pains of such explanations with their customers, so do not forget your camera! Not including the kitchen hidden by the noren/entrance curtain to prevent kitchen odors to bother customers the restaurant is a model of a clever use of the limited space with the inclusion of a Japanese-made grill/salamander! 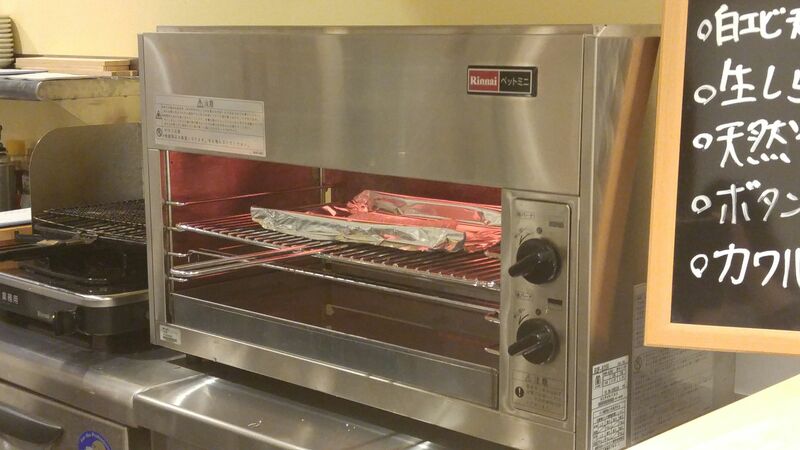 Guests can see how their own fish is being cooked! 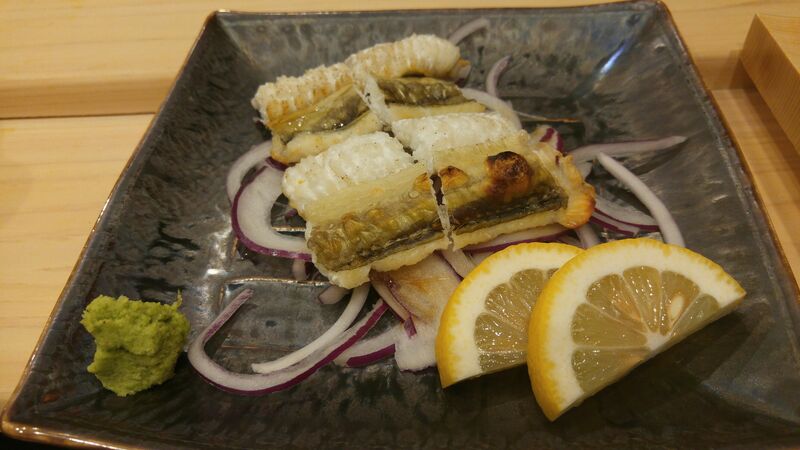 “White-grilled” (no sauce basted on fish) conger eel in our case! 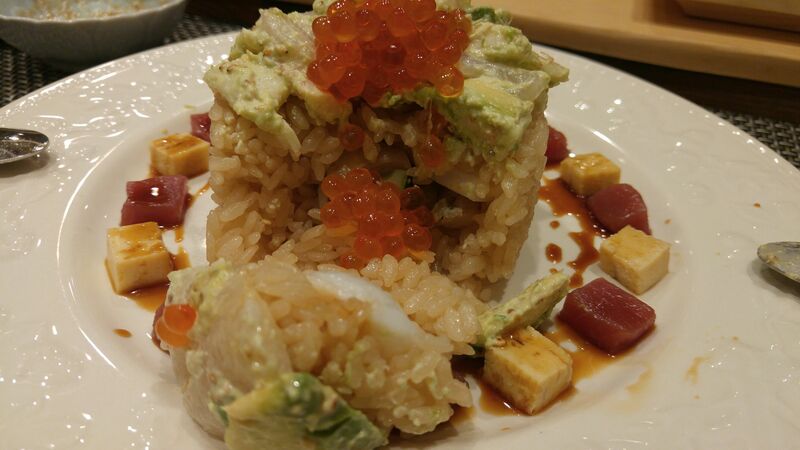 Just add a little grated wasabi on top of each piece before savoring it! 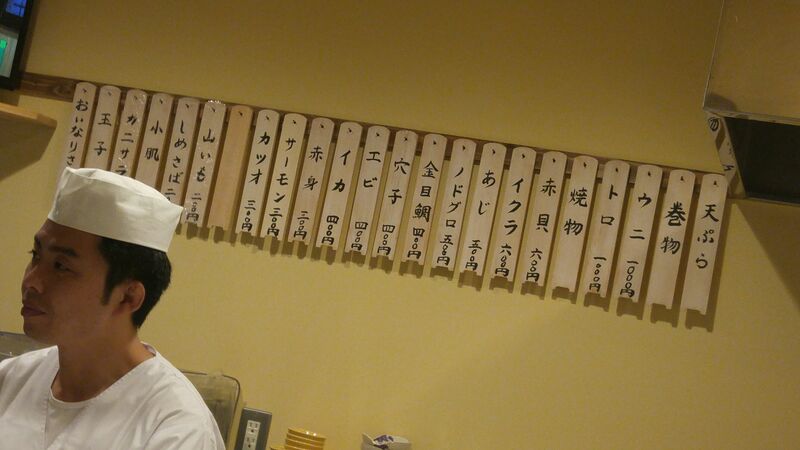 Kenta is famous all over town and beyond for some tidbits you must absolutely sample! One of them is “Kawahagi o-tsukuri”/Filefish (also called leather jacket in Australia!) sashimi plate! 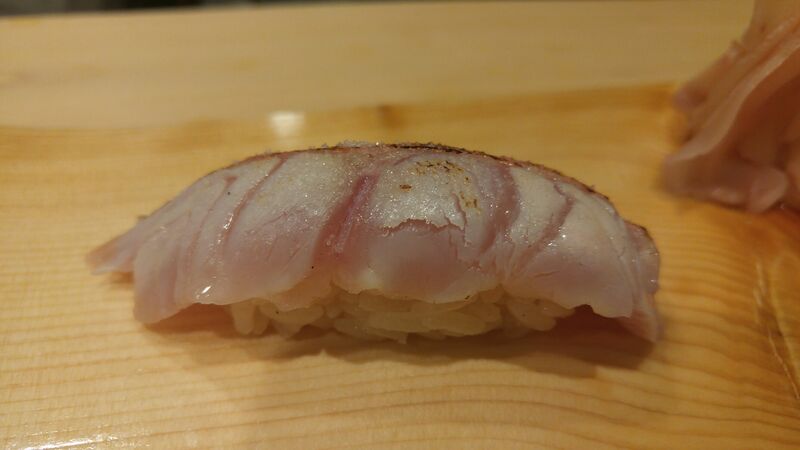 Cheaper and tastier than fugu/globefish and super fresh as they picked up alive form the tank! 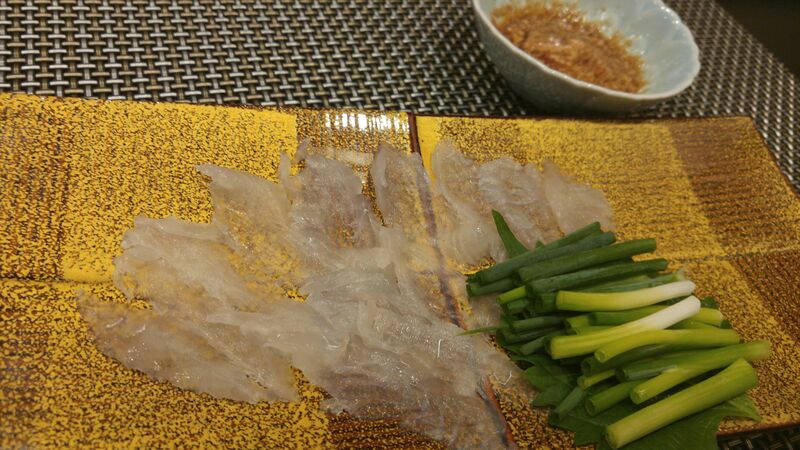 The fish is cut in very thin slices and served with cut leeks/scallions to be rolled inside each slice of fish. a great opportunity to show your skills with chopsticks! And as for the dipping sauce it consists of the live liver of the very same fish chopped thinly and mixed with rice vinegar and what else! 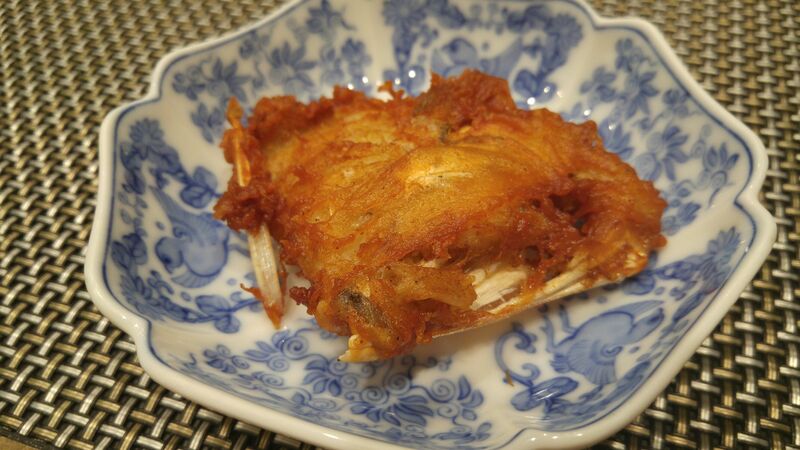 The “jowls” of the same fish will then served to you as deep-fried! To eat with your fingers! 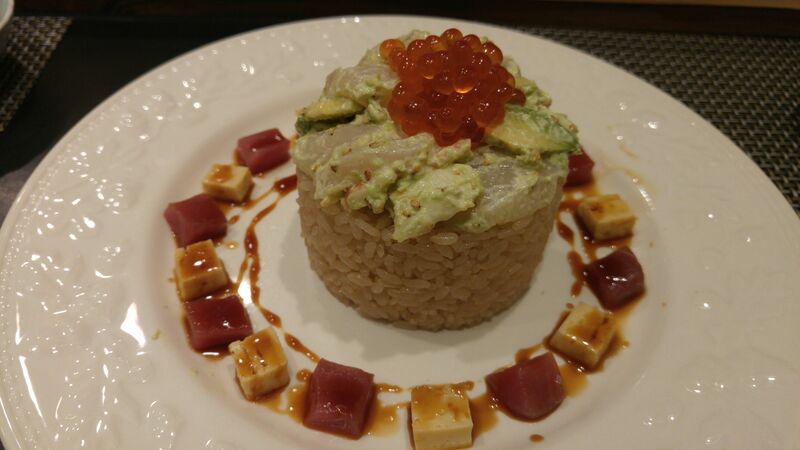 Another morsel you must absolutely order is “maguro zuke”! 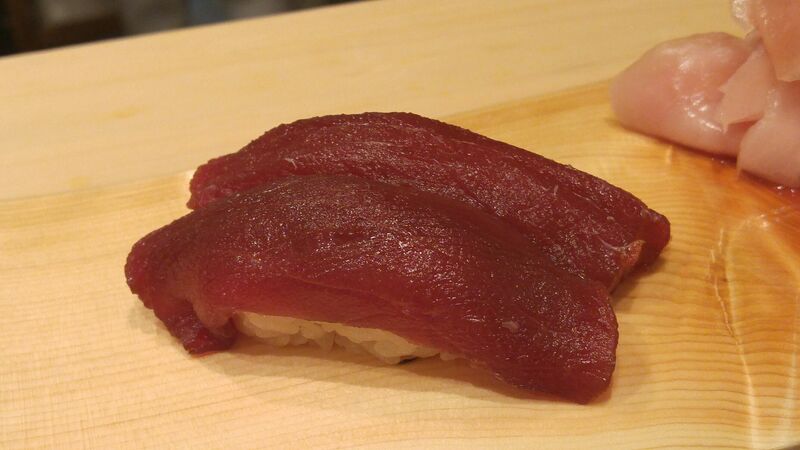 Slices of tuna akami/lean part are marinated for a short time in a mixture of soy sauce, sake, mirin and secret ingredients before being served as nigiri. Almost a dessert! Also make a point to check what local fish are available! The above is a fish that made Shizuoka Prefecture famous all over Japan: “kinmedai”/splendid Alfonsino caught off the shores of Inatori on the west coast of Izu Peninsula! Seared on one face you can savor at least two different savors! 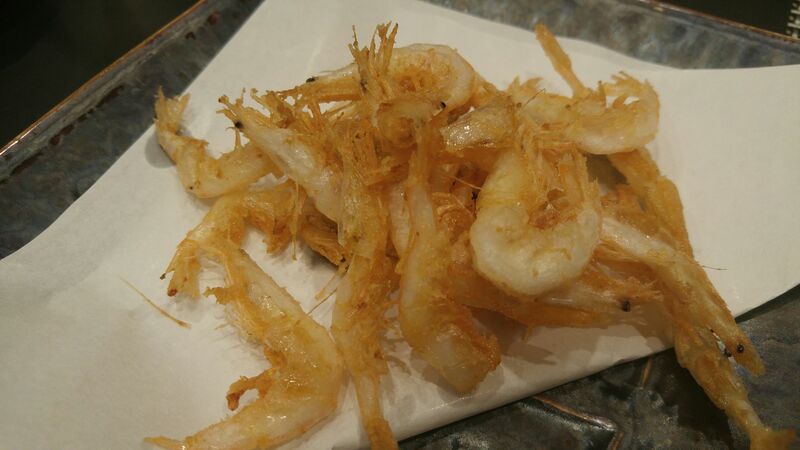 If you wish for something from other shores try the deep-fried “shiroebi”/white shrimps from Toyama Prefecture! 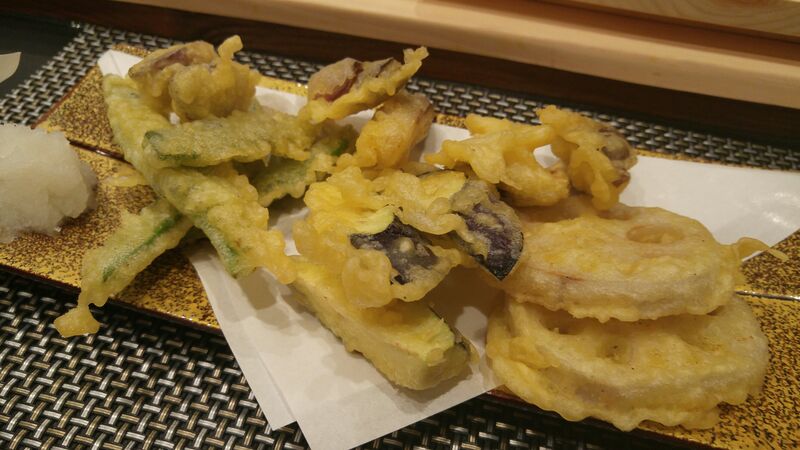 Vegetarians can order a plate of fresh vegetable tempura prepared by Kenta’s mother! 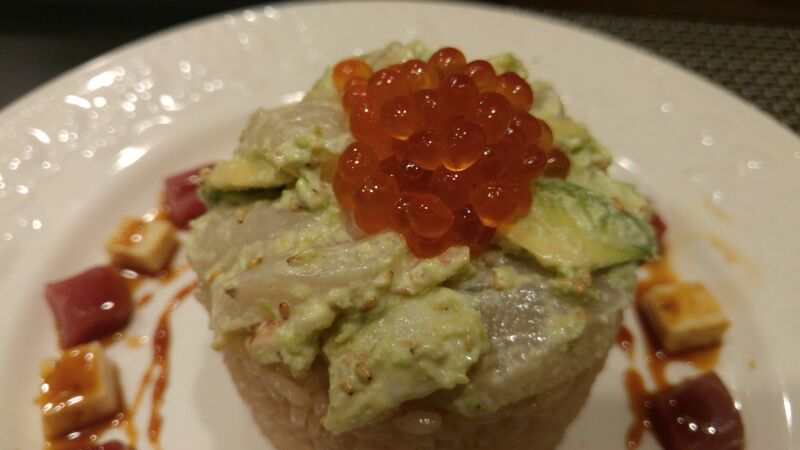 “Maki”/sushi rolls aficionados are faced with an embarrassment of choices as Kenta will gracefully prepare your orders even if they are not featured on the menu! 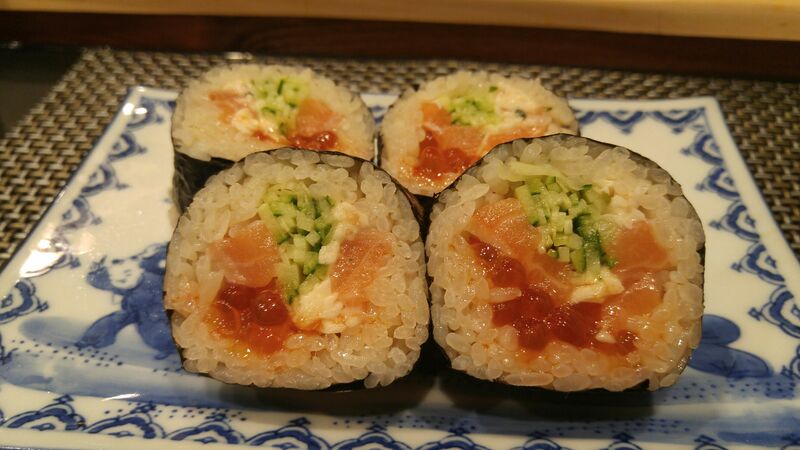 Dragon ordered this “futomaki”/large roll filled with fresh salmon, salmon roe, grated “yamamaimo”/Japanese yam and thin scallions! 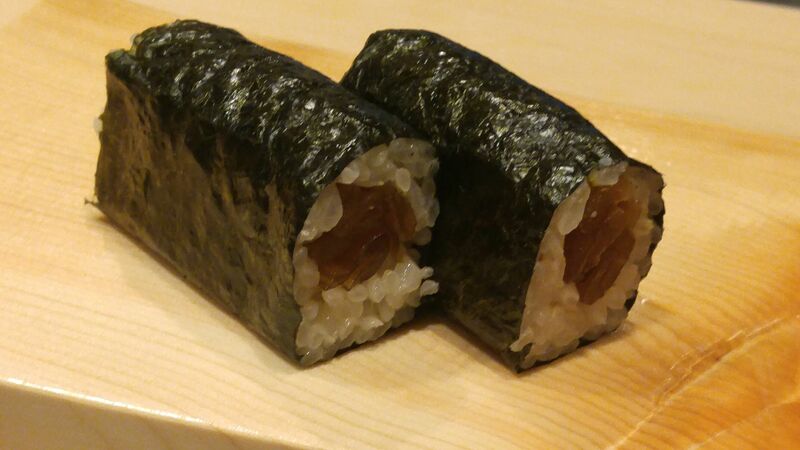 For “dessert” (for vegetarians and vegans) ask for “kanpyo maki”/roll filled with simmered dry gourd shavings, and don’t forget to mention with “plenty of wasabi”! 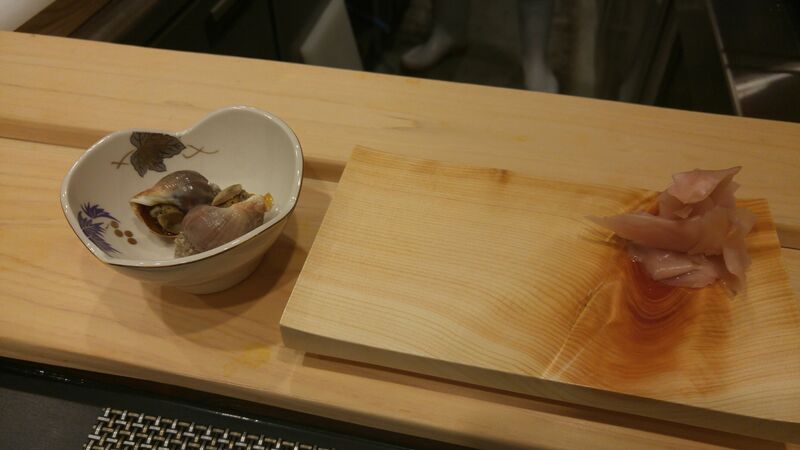 Kenta cooks his own tamagoyaki/Japanese omelet (not evident in many sushi restaurants!) so don’t forget some! And wash down the lot with some very tasty miso soup! There are usually three kinds depending on the season. This time we were offered tofu, nameko mushrooms or cockles. Dragon opted for the tofu added with a generous portion of fresh seaweeed! This was only a small dinner, so expect more in the near future with different morsels!